Led China through the transitional period immediately following the (Great Proletarian) Cultural Revolution. Succeeded Zhou Enlai as Premier after Zhou's death in 1976. Succeeded Zhou Enlai as Premier after Zhou's death in 1976. After the death of Chairman Mao, Hua eventually allowed for the rehabilitation many who had fallen from favour during the “Great Proletarian Cultural Revolution.” Hua succeeded Mao Zedong as the de facto leader of China after out manoeuvering “Gang of Four” in a power struggle later in 1976. Deng Xiaoping's policies of reform began to take shape during Hua's tenure, beginning around 1978. By 1980, power and formal leadership had gradually shifted to Deng Xiaoping and his supporters. Hua was a member of the Central Committee in the later years of his life. He died on August 20, 2008. Scottish philosopher (scepticism), psychologist and historian; held that task of knowledge is not to comprehend being, but to provide a guide to practical life (utilitarianism); the only objects of authentic knowledge could be mathematics since no other relations can be deduced by logic, but only from experience, which was after all only a "stream of impressions" whose causes are essentially unknowable. He held that the repeated occurrence of one event prior to another can form the basis for the formation of conceptual knowledge, but cannot constitute proof of cause-and-effect - "how do we know that the Sun will rise in the East tomorrow?" - but nevertheless knowledge can provide sufficient certainty to constitute the basis of practical life. Thus Hume attempted to rescue the positive content of Locke's philosophy from the subjectivist critique of Berkeley. See Hegel on Hume's contribution. David Hume lived in the constitutional monarchy of George II under the Prime Ministers Walpole, Pelham and Pitt, a Britain which had thoroughly established a stable bourgeois system of government and was interested in building its Empire. Hume died in the year of the American War of Independence. Hume denied theological doctrines and acknowledged the evils that religion had wrought upon humanity. How was one to develop then a "secular" system of philosophy and morality. What answer could be given to Berkeley's "proof" that the concept of a material world beyond sensation was a "metaphysical absurdity"? How could we get on with science and industry, trade and conquest, without religion? Hume accepted Berkeley's proof, but developed the philosophy of Scepticism, a British compromise, in which, while the knowledge we gain from experience cannot constitute theoretcial knowledge or necessity, it is good enough for practical purposes, sufficient for practical life. The Sun has risen every morning so far, so its reasonable to work on the assumption that it will probably rise again tomorrow. In place of ethics, Hume embraced the Utilitarianism of Jeremy Bentham, in which an act is good if it produces the "greatest happiness for the greatest number of individuals". Hume was a contemporary of Immanuel Kant, with whom his philosophy may well be compared. Kant is dealing with the same crisis of knowledge, but in the distinctly German, rather than British, way. Further Reading: Enquiry Concerning Human Understanding. German philosopher, the founder of Phenomenology, a method for the description and analysis of consciousness, and aiming to resolve the opposition between Empiricism and Rationalism by indicating the origin of all philosophical and scientific systems in the interests and structures of experience. Husserl was born into a Jewish family and completed his qualifying examinations in 1876 in the neighbouring city of Olmütz. He then studied physics, mathematics, astronomy, and philosophy at the universities of Leipzig, Berlin, and Vienna. In Vienna he received his PhD in 1882 with a dissertation entitled Contributions to the Theory of the Calculus of Variations. In the autumn of 1883, Husserl moved to Vienna to study with Franz Brentano. 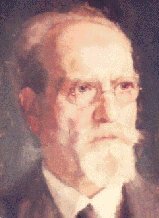 Husserl received a decisive impetus from Brentano and his circle of students where the spirit of the Enlightenment, with its religious tolerance and its quest for a rational philosophy, was very much alive. Husserl's striving for a more strictly rational foundation found its corroboration here. Such a foundation meant for him not only a theoretical act but the moral meaning of responsibility in the sense of ethical autonomy. In Vienna Husserl converted to the Evangelical Lutheran faith, and one year later, in 1887, he married Malvine Steinschneider, the daughter of a secondary-school teacher from Prossnitz, who was to be his indispensable support in life. In 1886 Husserl went to Carl Stumpf, the oldest of Brentano's students, who was professor of philosophy and psychology at the University of Halle. In 1887 Husserl qualified as a lecturer in the university. He had become a close friend of Stumpf, and was indebted to Stumpf for many suggestions in the formation of his own descriptive concepts. The theme of Husserl's thesis, On the Concept of Number: Psychological Analyses, already showed Husserl in the transition from his mathematical research to a reflection on a psychological source for the basic concepts of mathematics. These investigations were an earlier draft of his Philosophy of Arithmetic which appeared in 1891. The title of his inaugural lecture in Halle was On the Goals and Problems of Metaphysics. In the traditional sense metaphysics is the study of Being. Though the text is lost, it is clear that Husserl already understood his method of the analysis of consciousness to be the way to a new universal philosophy and metaphysics, which he hoped would displace all previous schemes. The years of his teaching in Halle (1887-1901) were later seen by Husserl to have been his most difficult. He often doubted his ability as a philosopher and believed he would have to give up his occupation. The problem of uniting a psychological analysis of consciousness with a philosophical grounding of formal mathematics and logic seemed insoluble. But from this crisis there emerged the conviction that the philosophical grounding of logic and mathematics must commence with an analysis of the experience that lies before all formal thinking. Husserl made an intensive study of the British Empiricists, such as Locke, Berkeley, Hume, and J S Mill, and the logic and semantics stemming from this tradition, especially the logic of Mill, and studied the attempts at a "psycho-logic" grounding of logic then being made in Germany. The fruits of this work were presented in the Logical Investigations (1900-01), which employed a method of analysis that Husserl now designated as "phenomenological." After the publication of the Logical Investigations, Husserl was called, at the instigation of David Hilbert to the University of Göttingen. Husserl's time of teaching in Göttingen, from 1901 to 1916, was important as the source of the Phenomenological movement. The phenomenological analysis of experienced reality - i.e., of reality as it immediately presents itself to consciousness - drew not only the German students who were unsatisfied with the Neo-Kantianism that then prevailed in Germany but also many young foreign philosophers who came from the traditions of Empiricism and Pragmatism. From about 1905, Husserl's students formed themselves into a group with a common style of life and work. Standing in close personal contact with their teacher, they always spoke of him as the "master". Husserl himself had developed an individual style of working: all of his thoughts were conceived in writing, and during his life he produced more than 40,000 pages. Husserl was still at Göttingen when Max Scheler, who was at that time a lecturer in Jena and who later became an important Phenomenologist, came in contact with Husserl (1910-11). Husserl's friendship with Wilhelm Dilthey, also falls within this period. Husserl later acknowledged that his encounter with Dilthey had turned his attention to the historical life out of which all of the sciences originated and that, in so doing, it had opened for him the dimension of history as the foundation of every theory of knowledge. In the Göttingen years, Husserl drafted the outline of Phenomenology as a universal philosophical science. Its fundamental methodological principle was what Husserl called the phenomenological reduction. It focuses the philosopher's attention on uninterpreted basic experience and the quest, thereby, for the essences of things. In this sense, it is "eidetic" reduction. On the other hand, it is also the reflection on the functions by which essences become conscious. As such, the reduction reveals the ego for which everything has meaning. Hence, Phenomenology took on the character of a new style of transcendental philosophy, which repeats and improves Kant's mediation between Empiricism and Rationalism in a new way. Husserl presented its program and its systematic outline in the Ideas; General Introduction to Pure Phenomenology (1913). With this work, Husserl wanted to give his students a manual. The result, however, was just the opposite: most of his students took Husserl's turn to transcendental philosophy as a lapse back into the old system of thought and rejected it. With the onset of the war, the phenomenological school fell apart. In 1916 he was appointed Professor at the University of Freiburg. His inaugural lecture on Pure Phenomenology, Its Area of Research and Its Method circumscribed a new program of work. He had understood the War as the collapse of the old European world, in which spiritual culture, science, and philosophy had held an incontestable position. After this, his reflections were directed with special emphasis upon philosophy's task in the renewal of life. He continued his attempt to clarify the relation between psychological and phenomenological analysis of consciousness and considered the grounding of logic in the Formal and Transcendental Logic (1929). In this last period of his life, Husserl's teaching assumed a different style from that at Göttingen. It did not lead to the founding of a new school and assumed more the character of a monologue. Nevertheless, numerous foreign guests usually took part in his seminar, and Rudolf Carnap, a leading figure in the Vienna Circle, also studied under Husserl. Lectures at the University of Amsterdam and later at the Sorbonne furnished the occasion for a new systematic presentation of Phenomenology, Méditations cartésiennes. When he retired in 1928, Martin Heidegger, who was to become a leading Existentialist, became his successor. Husserl had looked upon him as his legitimate heir. Only later did he see that Heidegger's chief work, Being and Time (1927), had given Phenomenology a turn that would lead down an entirely different path, and their relationship cooled after 1930. On Hitler's seizure of power in 1933, Husserl was excluded from the university; but he received numerous visits by foreign philosophers and scholars. Condemned to silence in Germany, he received, in the spring of 1935, an invitation to address the Cultural Society in Vienna. There he spoke freely for two and one-half hours on Philosophy in the Crisis of European Mankind and repeated the lecture two days later. Husserl also addressed the University in Prague in the fall of 1935, after which many discussions took place in the smaller circles. Out of these lectures came Husserl's last work, The Crisis of European Sciences and Transcendental Phenomenology. In the summer of 1937, the illness that made it impossible for him to continue his work set in and he died in April 1938 near Freiburg.